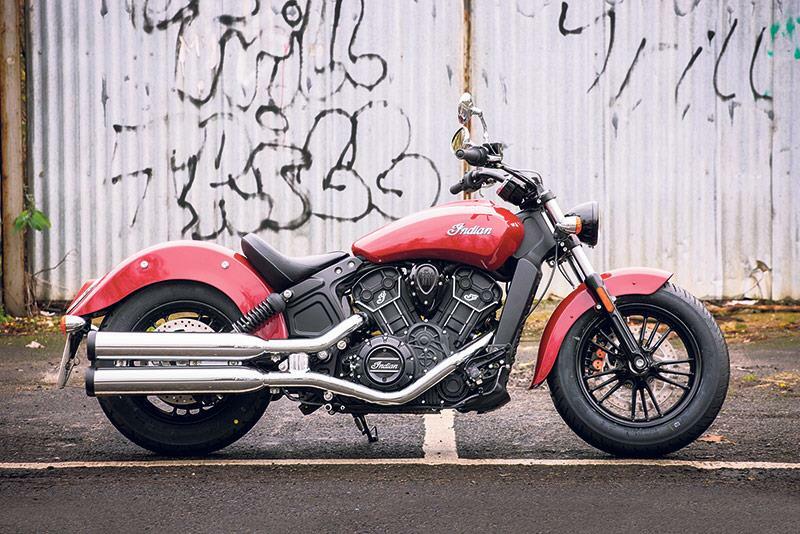 Can new Indian Scout Sixty rule the roads in battle to be the best cool-looking cruiser for less than £10k? 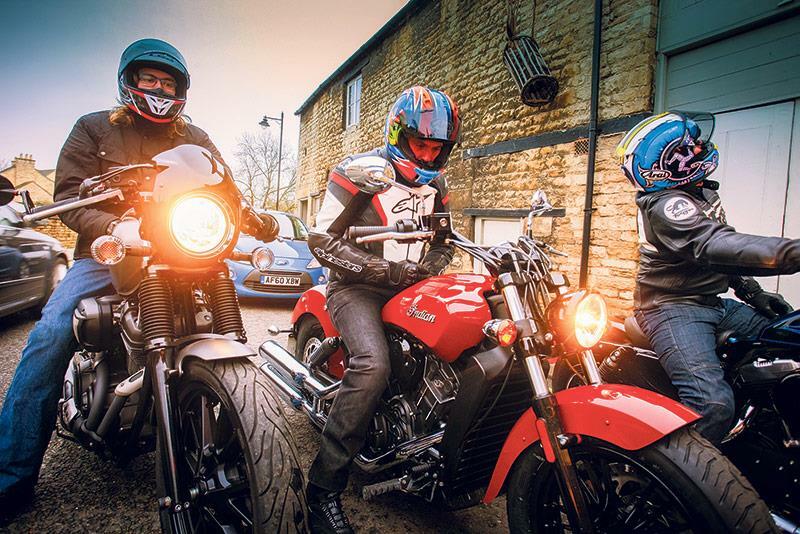 he new Indian Scout Sixty has landed on UK shores. At only £8999 the water-cooled 999cc V-twin is a tempting alternative to both the traditional air-cooled American cruiser and the new breed of Japanese custom alike. 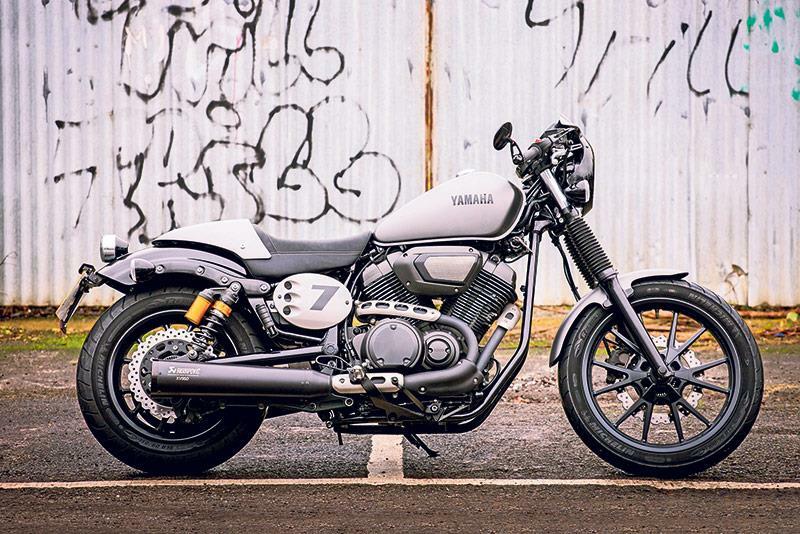 We put the Sixty up against Harley’s 10 grand Sportster Forty-Eight and Yamaha’s XV950 Racer, which at just over £8000 is almost a grand cheaper than the Indian. Water-cooled or air cooled; USA or Japan? We find out. The Scout Sixty is based on the 1133 Scout, with a smaller 999cc water-cooled motor. It’s aimed at a younger, more urban audience. The 48 comes with a large 1202cc air-cooled motor and is draped in retro styling. For 2016 there’s revised suspension and styling. The Racer gets new switchgear, levers, a single seat cover, a front cowling and number boards. The suspension gets a tweak, too. To the untrained eye these middleweight cruisers might look different, but they are actually surprisingly similar – with all of them fighting for a slice of the same fashion-conscious audience. All three are belt driven and powered by V-twin engines, with the Indian having the only water-cooled motor of the bunch. 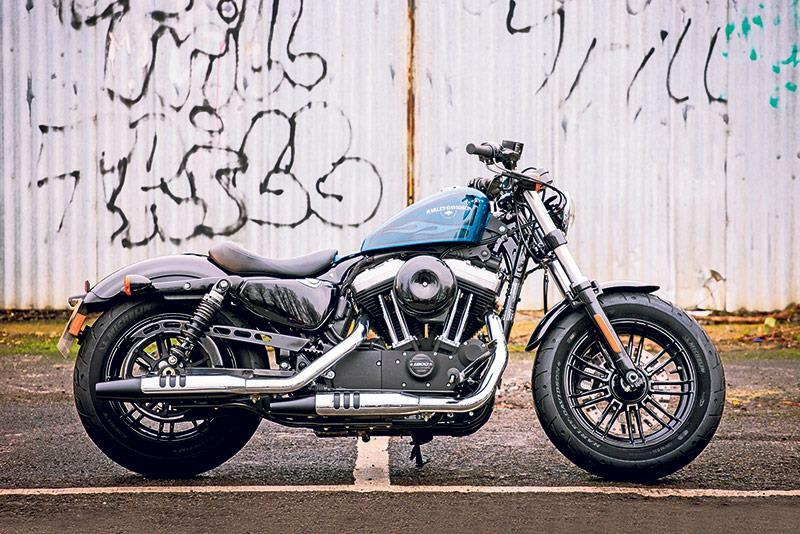 All three have tiny fuel tanks – the Harley has the smallest at only 7.9 litres – a single disc brake up front, ABS as standard, conventional non-adjustable forks and twin rear shocks with pre-load adjustment. And all three are designed to turn heads, be bold and cool while not breaking the bank balance at £10,000 or under. The base model Forty-Eight starts at £9675, but this is Harley’s Hard Candy option, Cancun Blue Flame, which pops the price tag just over the 10 grand mark at £10,075. I have to say, the Forty-Eight looks stunning. We all loved its metal flake paintwork while its 16in wheels give it the look of a beach bike with over-size balloon tyres – and the V-twin’s wide open cooling fins look the business. Everything is well judged. There’s just enough chrome – but not too much – on the cylinder heads, and the half-digital, half-analogue clock is minimalist yet, thanks to a mode switch on the left bar, can display options that include a tacho and gear position indicator. Look around the Forty-Eight and it really does feel like Harley is slipping nicely into the 21st century while keeping in touch with its traditional values. That said, nobody on test liked the indicators – turn left switch on the left bar, turn right on the right. The underslung mirrors, which mainly give a view of the rider’s crotch, also won few friends. Yamaha, meanwhile, are leading the Japanese manufacturers in terms of cool café racers and retro cruisers, but I’m wondering if this Racer version’s styling is a little too much. The end-of-bar mirror looks good but is even worse than the Harley’s (sorry, but I need to know if the BMW following me is friend or foe). The giant air filter intake is eye catching but gets in the way of your right leg on the move. The set back and higher pegs give the Racer an aggressive riding stance, but the pegs get in the way when you want to put your feet down. The centrally mounted digital clocks should be analogue in my opinion and shouldn’t look like they were won at a raffle. Yes, they’re informative and useful, but so was my head teacher at school. The number board is a little too much for me too. By contrast the Indian Scout Sixty is attractive in its simplicity. The other two shout ‘look at me’, but the Indian doesn’t need to. Its larger fenders give it a feel of 1950s America. It knows what it’s trying to be and is all the classier for that. The clocks are a lovely centrepiece and controlled by a mode button on the left bar, and Indian has even done an excellent job of hiding the large radiator on this the only water-cooled bike of the three. Our Yamaha came with an Akrapovic race pipe (£539.99), and although it’s road legal it gave the Racer extra bark. The Harley was on standard pipes that did just enough to muster some noise, but the Indian was rather lame. I know most owners will change their pipes even before their V-twin has left the showroom, but you can’t help feel a little disappointed by the lack of sound and character from both the Americans. However, the loudest and wildest bike was actually the slowest and most disappointing in terms of outright performance. I’m not sure how Yamaha could make such a big motor, all 942cc of it, and only come up with 51 lethargic horses. The revs rise and fall with the urgency of a sloth, and let’s not forget the Racer, at 251kg, is the heaviest bike on test, making its roll-ons from 70mph, the overtaking speed on motorways, extremely laboured. It left me deflated and disappointed, reminding me of the old Yamaha MT-01, which looked like it would rip your arms off, but couldn’t actually remove the skin from cold tea. The Yam looks like it has the potential to run rings around the other two but that’s just not the case. It’s the longest of the bunch as well as the heaviest and runs a larger 19in front wheel compared to the 16-inchers on the other two, slowing the steering further. The Yamaha’s lack of go makes the Harley feel sprightly and the Indian positively brisk. The Indian’s newer engine doesn’t mind a few revs and I was taken aback by its top gear roll-on performance. It will accelerate up to motorway cruising speeds and above with ease, while overtakes on a busy A-road don’t have to be planned with military precision as there’s ample power in reserve. Crack the throttle hard enough in the first two gears and you’ll push the limit of grip from the rear Kenda tyre, which is particularly poor in the wet (I’d ask the dealer to change the tyres before leaving the showroom). 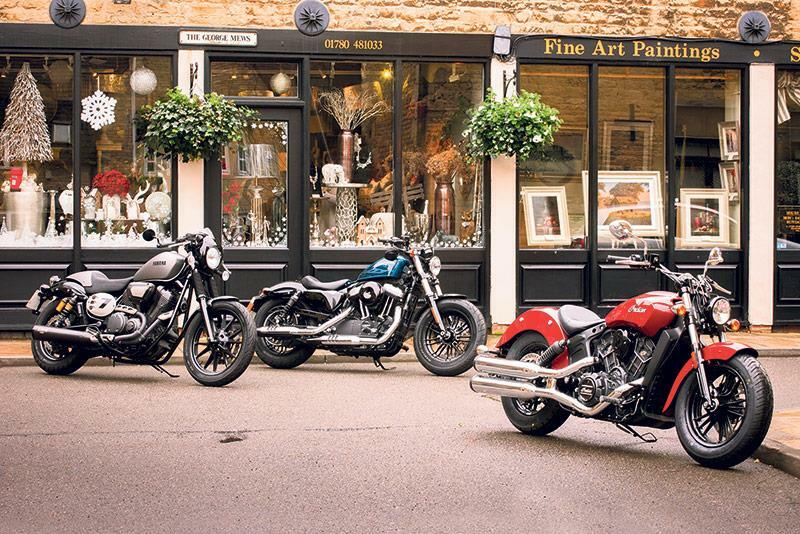 The Indian is down on capacity compared to the big Harley but is clearly the best performer. Despite its big capacity the Harley revs harder and quicker than the Yam, but also has a killer punch of torque to back it up. Harley-Davidson have really pulled their socks up in recent years, and if this test were a school report they’d receive the ‘most improved’ student award. The longer our ride went on the more we warmed to the Harley and its charm. It can easily hold its own on B-roads and has a reasonable amount of ground clearance. However, there was a slight issue with of stability at high speeds and its fuel tank is too small. Even ridden gingerly you’d be lucky to get anything close to 100 miles between fill-ups from the 7.9-litre fuel tank, which equates to just over two gallons in real money. Frequent fuel stops do however give you a break from the most uncomfortable bike on test. The stretch to the bars and pegs folds you in half and takes its toll on the open road. The Yamaha’s racy riding position is equally unfavourable at low speeds, but isn’t too bad once the speed builds up and windblast takes the weight away from your wrists. But the Indian wins the comfort test hands down. Expect around 120 miles from its 12-litre fuel tank, or just under two hours in the saddle, which is achievable with a level of comfort the other two can only dream of. It has the softest suspension set up of the bunch, which only comes into question when you start to ask a little too much of the handling, and you end up bouncing down a B-road at pace. Around town it’s the best of the bunch and comes with the lowest seat, which is easily accessible for even a vertically challenged rider like me! 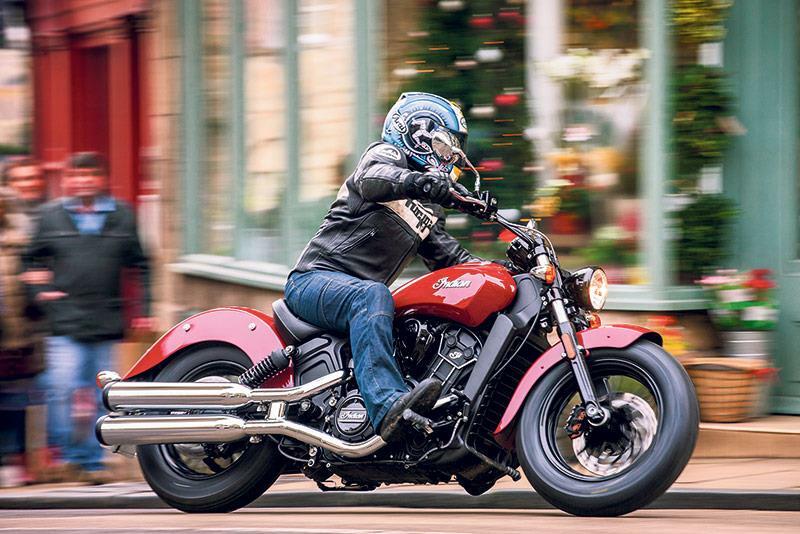 Don’t be put off by the large-looking Scout Sixty – shorties or those new to custom bikes can easily enjoy what it has to offer and revel in the endless admiring glances. 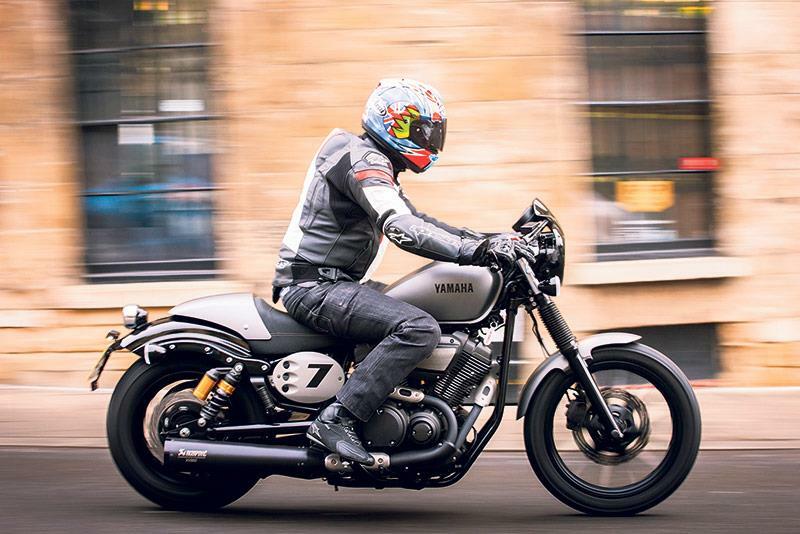 The Yamaha XV950 Racer is the cheapest and arguably the boldest. It’s not a bad bike – far from it – but the motor is lazy. 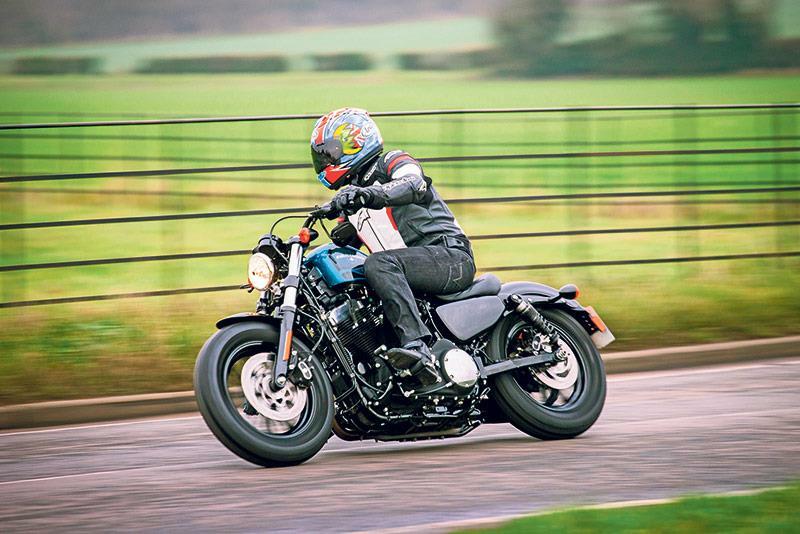 The Harley Forty-Eight looks amazing, feels authentic and, despite its stretched and unnatural riding position, scores highly. I’m not sure I could live with a tiny 7.9-litre fuel tank, though. The 2016 Indian Scout Sixty is impressive, so good it makes me wonder why would you want anything more from a middleweight cruiser. If you can live with the water-cooled motor, which lacks the character and soul of the Harley’s air-cooled V-twin, you’re not going to be disappointed. Just change the tyres if you’re ever going to ride in the wet.